Vibrant and quirky, this baby is a must have. 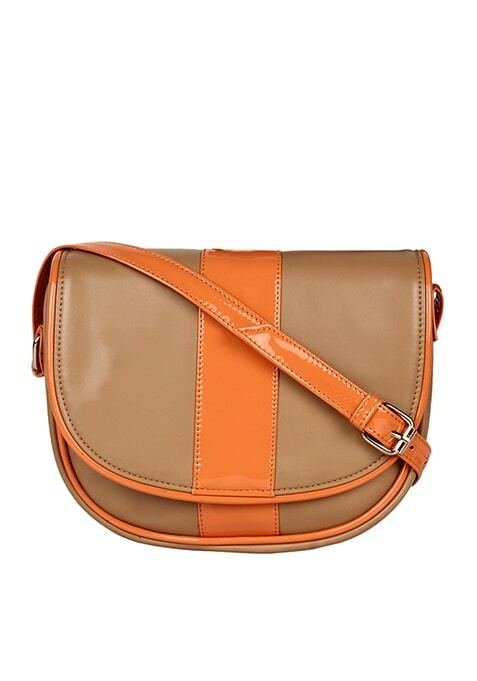 It features a beige body with orange panels, front flap with magnetic button closure and adjustable shoulder strap. Work It - Looks super chic with a printed playsuit and skater shoes. Material: Faux leather Shoulder sling Magnetic button closure Dimension: 9.5"X1.8"X7.5"